It's and we would like to welcome you to the Salt Lake Tourist & Visitor Centers official online edition. This page provides detailed information on Salt Lake City Wireless Internet Hot Spots. Everywhere you go, you're going to find Free Wi Fi. Just Be Careful. Like everywhere else, the bad guys would like you to believe that their connections are secure. Well, our thoughts, again, just be careful. If you're at a local coffee shop or fast food joint, don't log on and check anything that's password sensitive. Bank accounts, credit cards, etc. Wait until you get to a secure connection that you trust. 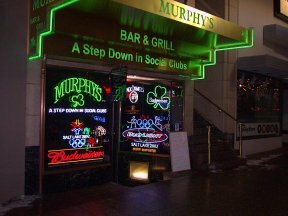 If you're staying downtown, close to all the major hotels is a small place called "MURPHY'S". It's at 160 South Main St. between 100 South & 200 South. Not only is it the only place to be seen on St. Paddy's Day, but it's a neighborhood bar with great food, sports viewing and friendly servers. 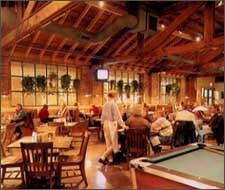 You will feel very comfortable there having a few toddies, chatting with our locals, etc. About 15 minutes south of downtown @ 3000 South and Highland Drive is "Lumpys". It is one of our favorite bars for many reasons. 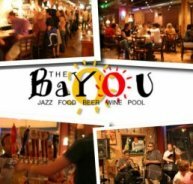 Sports, pool, great food, dancing, live bands and karaoke. Play NTN Trivia or Texas Holdem for free. Free - Starter/Appetizer Coupon Offer.